The property was originally built in the late 1700s/early 1800s and is a typical late-period Georgian/early Victorian building. 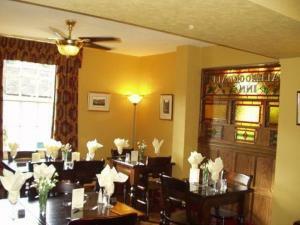 At the heart of the building, sits the traditional bar with surrounding seating. The inn has a completely separate Victorian-style 20-seat restaurant and very recently refurbished cloakroom to the rear. There is a small terraced area to the side and a smoking area at the very rear of the property. Limited car parking is available at the side of the building.